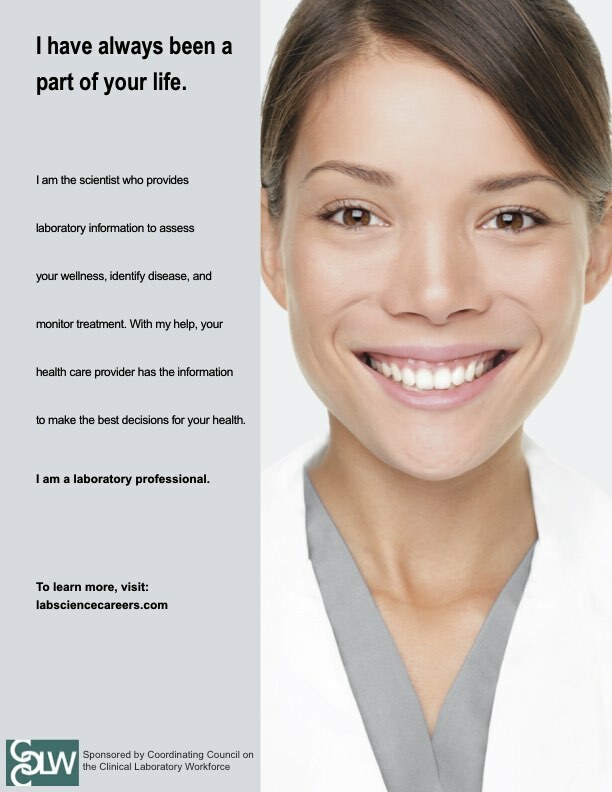 The Coordinating Council on the Clinical Laboratory Workforce (CCCLW) has created a poster in an attempt to put a face on clinical laboratory scientists who operate in the background of our healthcare system. We followed the example of the nurses who created a generic face. Their publicity campaign did not differentiate between ER nurses, pediatric nurses, etc. They used one term "nurse" to make it easy for the public to recognize them. We want to create that public presence by putting our "face" out among the public. We would like everyone to print these posters and place it in areas where the public will see them. We feel it will be more meaningful if the public sees the same poster in many different places. 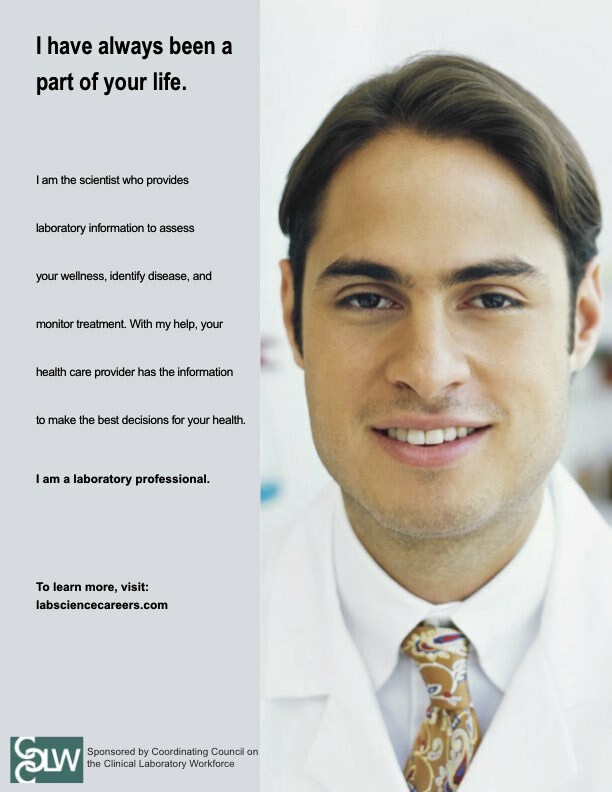 Seeing our face in a health department, a doctor's office, a blood drawing area, as place cards on cafeteria tables or waiting areas, or on a pharmacy bulletin board will increase recognition and familiarity. The public will begin to learn who we are just by seeing the poster. 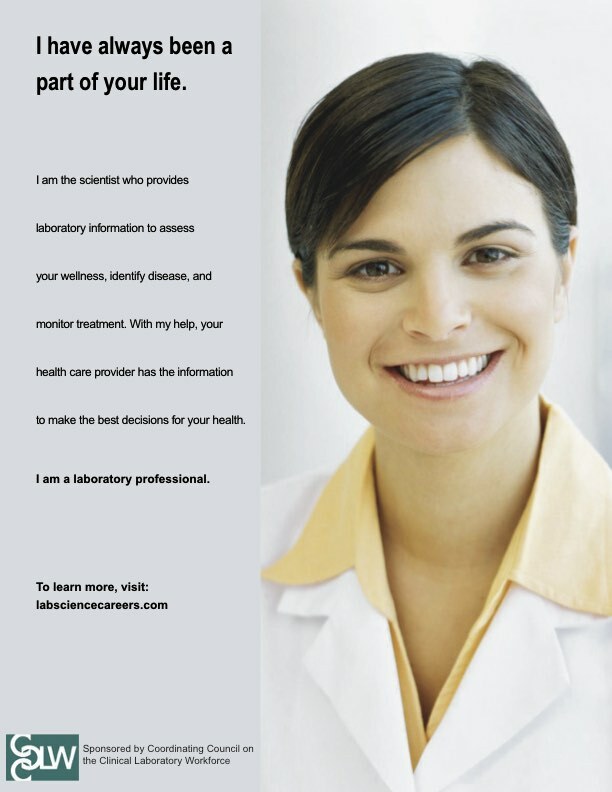 Each organization has its niche and, working with their membership, decide how to utilize the poster. Be creative as to how your organization spreads the word by creating a common face! When using the posters, please give credit by citing the CCCLW.org website so that others might also be directed to the materials we have available.